Heel pain is a common foot problem. The sufferer usually feels pain either under the heel (planter fasciitis) or just behind it (Achilles tendinitis), where the Achilles tendon connects to the heel bone. There are 26 bones in the human foot, of which the heel (calcaneus) is the largest. The human heel is designed to provide a rigid support for the weight of the body. When we are walking or running it absorbs the impact of the foot when it hits the ground, and springs us forward into our next stride. Experts say that the stress placed on a foot when walking may be 1.25 times our body weight, and 2.75 times when running. Consequently, the heel is vulnerable to damage, and ultimately pain. The most common causes of heel pain are plantar fasciitis,inflammation of the plantar fascia. 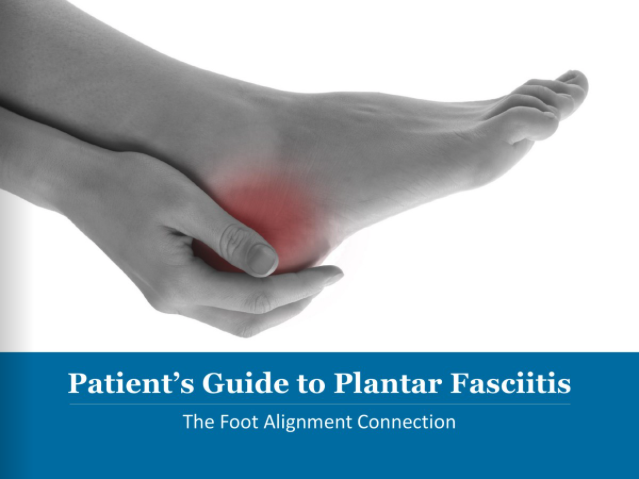 The plantar fascia is a strong bowstring-like ligament that runs from the calcaneum (heel bone) to the tip of the foot. When the plantar fasciitis is stretched too far its soft tissue fibers become inflamed, usually where it attaches to the heel bone. Sometimes the problem may occur in the middle of the foot. Pain under the foot can occur, especially after long periods of rest. Heel bursitis can also cause heel pain due to inflammation of the back of the heel.Pain in the heel can also come from tarsal tunnel syndrome – a large nerve in the back of the foot becomes pinched or compressed. Chronic inflammation of the heel pad can cause pain to radiate from the heel, this is caused either by the heel pad becoming too thin, or heavy footsteps. Heel pain also occurs from a collapse of the ankle on to the heel causing the foot to be out of alignment. An estimated one in 10 people will have at least one episode of heel pain at some point in their life. HyProCure is a small titanium stent that is inserted into the sinus tarsi fixing hyperpronation at its root by keeping the sinus tarsi in a stable open position as nature intended. This keeps your ankle bone from sliding forward and off of your heel bone and the rest of your body in its natural alignment.